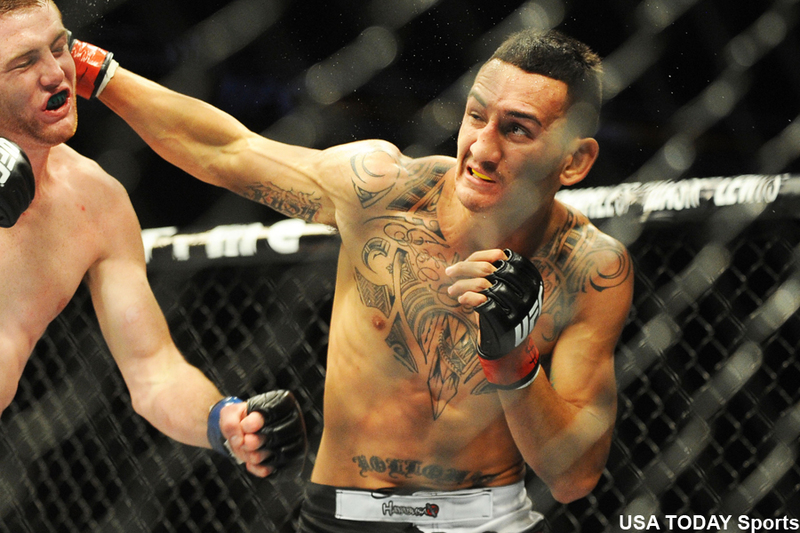 A win is a win, and that’s all Max Holloway (pictured) needs to remember. Sure, it wasn’t the definitive victory that the 23-year-old was hoping for to shoot him up to UFC featherweight title contention, but it’s not his fault Charles Oliveira suffered an awkward neck injury that forced the bout to be called after the very first exchange. Sunday’s UFC Fight Night 74 main event was one many were looking forward to because it showcased two up-and-comers grinding for the same meal. One would emerge towards the top of the food chain, while the other would suffer a significant setback. Unfortunately for all involved, nobody can say who is truly better than who because of what transpired. At least for Holloway’s sake, he walked away with the awkward W.
UFC Fight Night 74 took place inside SaskTel Centre in Saskatoon, Canada.